WV9900 6.0 Total cu. ft. FlexWash™ Washer Get ready for delivery FlexWash™ Super Speed Steam W..
WV9900 6.0 Total cu. 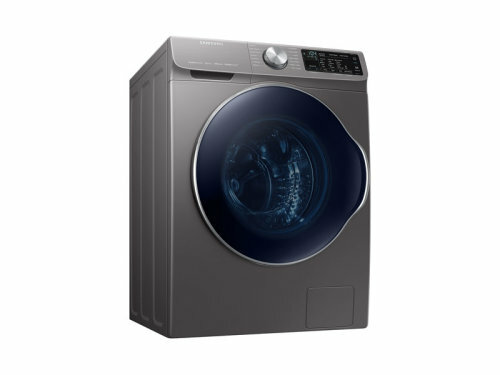 ft. FlexWash™ Washer FlexWash™ Super Speed Steam Wash Wi-Fi Connectivity ..
WV9600 5.5 Total cu. ft. FlexWash™ Washer Get ready for delivery FlexWash™ Steam Wash Wi-Fi Co..
WF7500 5.0 cu. ft. AddWash™ Front Load Washer AddWash™ Super Speed Steam Washing Technology P..
Samsung 24” Front-Load Washer, 2.2 cu. ft. Capacity DOE QuickDrive™- Assists in washing up to 35% fa..
WA7750 5.2 cu. ft. activewash™ Top Load Washer activewash™ Steam Wash VRT Plus™ Technology Sta..
WA8650 5.2 cu. ft. activewash™ Top Load Washer with Integrated Controls activewash™ VRT Plus™ Tech..
WF5500 4.5 cu. ft. Front Load Washer Steam Wash VRT Plus™ Technology 4.5 cu. ft. Capacity Self..
WF6500 4.5 cu. ft. AddWash™ Front Load Washer AddWash™ Super Speed Steam Washing Technology W..
WA8750 5.4 cu. ft. activewash™ Top Load Washer with Integrated Touch Controls Get ready for delivery..